Are you on the right path to make the world a healthier place? The first step is important - and your journey begins here. We holistically address health across the lifespan and prepare you to be a globally minded public health and human sciences professional ready to take on our greatest challenges to health and well-being. 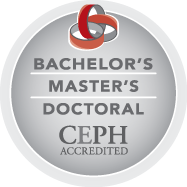 Environmental and Occupational Health MPH Ph.D.
Health Management and Policy BS MPH Ph.D.
Health Promotion and Health Behavior BS MPH Ph.D.
Human Development and Family Sciences BS MS Ph.D.
Find out more about the Master of Public Health program. Oregon State University’s MPH Online Degree Program provides interdisciplinary training in public health practice. The Graduate Certificate in Public Health online program at Oregon State University is designed for public health practitioners and others seeking professional development and continuing education within the field of public health. We offer undergraduate HDFS through Ecampus and as an HDFS degree in Portland. Is a career in medicine, nursing or allied health in your future? The College of Public Health and Human Sciences could be a great fit! Oregon State doesn’t offer a major in pre-medicine/nursing/pre-professional studies; however several of our degrees have prerequisites built into their curriculum. Check out pre-med or pre-health professions for more details. We're CEPH accredited. See why it matters. Accredited by the Council on Education for Public Health (CEPH) June, 2014. The School of Biological and Population Health Sciences links individual biology and behavior to population and environmental health to better understand how environmental and behavioral factors, including food and nutrition, physical activity, water, pollution, carcinogens, biohazards, etc., influence the development and progression of biological disease. The School of Social and Behavioral Health Sciences strives to advance understanding of the social and behavioral determinants and consequences of health and to promote health throughout the life course. We aim to integrate developmental, prevention, translation and policy sciences in an effort to improve health and well-being through research, teaching and public health practice.